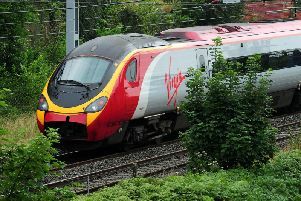 The three companies which will bid to run trains on the West Coast Mainline have been announced today. The winning company will be responsible for services on the West Coast Main Line from April 2019 and will design and run the initial HS2 high speed services between London and Birmingham from 2026. The shortlist contains bidding consortia which sees UK rail network experts working in partnership with companies that operate high speed railways around the globe, supported by businesses which have an excellent track record in customer services. Transport Secretary Chris Grayling said: “The West Coast Partnership will support growth and better services on the West Coast Main Line while helping to ensure that HS2 becomes the backbone of Britain’s railways. The winning bidder will collaborate with HS2 Ltd to design, launch and operate the initial HS2 services and deliver the transition of the timetable on the West Coast Main Line as it is revised to take advantage of the extra capacity provided by HS2. There are significant benefits in bringing the two projects closer together to ensure the best outcomes for passengers both before and after the start of the HS2 services.